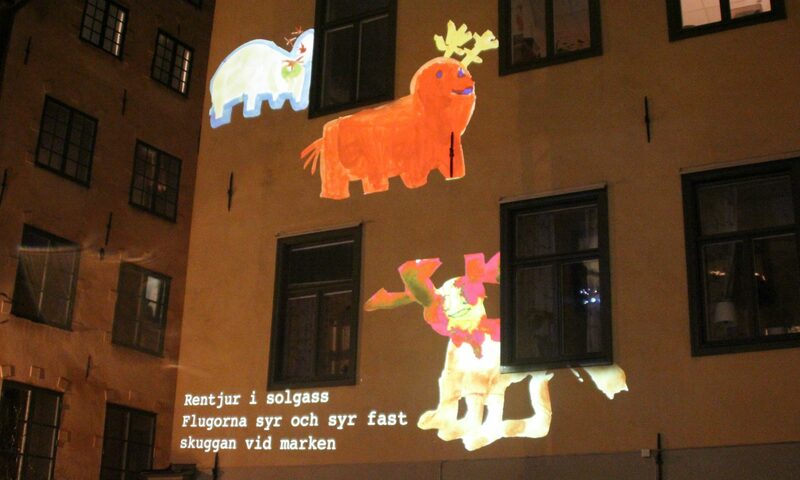 Wall poetry is a facade projection exhibition created by the children at the preschool Nicolaigården only a few meters from the Nobel museum in central Stockholm. The children have interpreted the poems by Swedish Nobel prize winner Tomas Tranströmer in paintings and drawings. The paintings show the children’s own reflections and thoughts around the poems and the issues around them. The exhibition was shown as part of Nobel day in Stockholm.